The RCMA cheek colors are highly pigmented and made with the same base materials as our foundations. This helps maximize compatibility and lets you blend with absolute perfection. 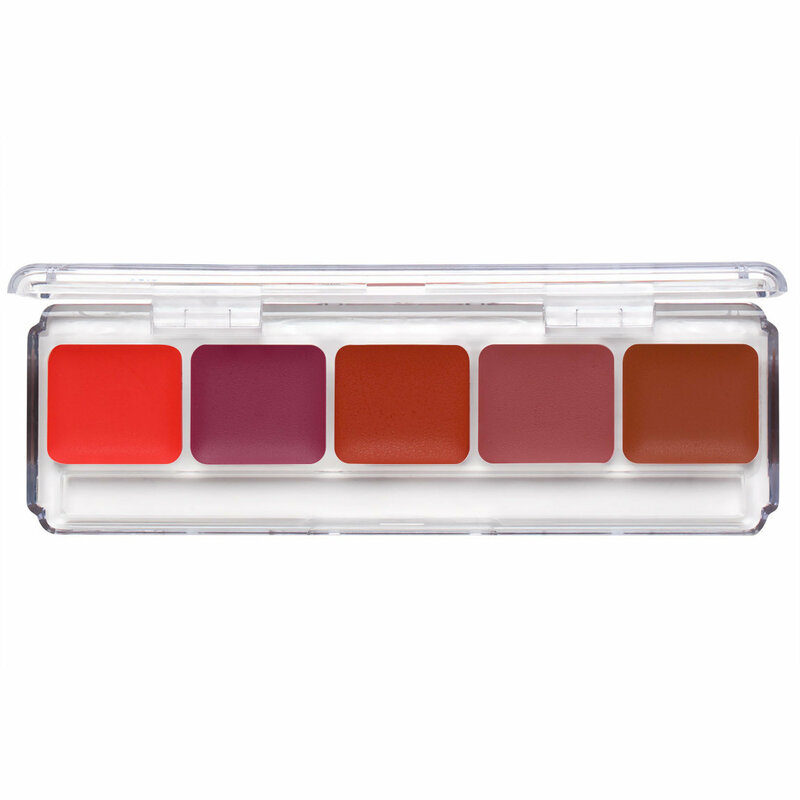 This stunning palette contains 5 radiant colors that will leave you glowing. 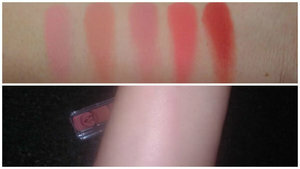 In my opinion, you just cannot go wrong with any RCMA product, and these cream blushes are no exception. They are made with the same ingredients, and to the same exacting standards that the RCMA is renowned for: Heavily pigmented yet surprisingly lightweight complexion products. These cream blushes are just beautiful, and the produce the most natural looking flush of color on the cheeks. I will not use any other cream blush product, ever. I also love to use these as lip glosses/lipsticks. I take a bit of the clear RCMA foundation(not sold on Beautylish) and mix a bit of the cream blush shade into it and apply it to the lips. I also love to take a bit of the RCMA Cream Sheens and mix a bit of it into the blush because they give the blush such a pretty iridescent sheen. I'll post a picture. The Cream Sheens are in a 4 part palette that is not sold Beautylish. They are Iridescent creams that can be added to any cream RCMA complexion product. RCMA makes products that are professional grade, very easy to use, and sold at a very reasonable price. I'm an RCMA girl for life. Gorgeous colors, blends like a dream! Being an oil base makes it blend like a dream, it literally just melts in your skin. I use it on my lips and cheeks, i love these so much that I'm thinking of purchasing the highlighting palette as well. RCMA has the basics in regards of makeup, wondering if RCMA would ever expand their product line. 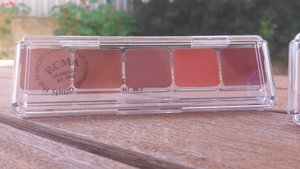 I can't say anything bad about this palette: first off, the range of colours are perfect for any skin tone as you can mix and customize any if these matte shades; the pigment in these creams is AMAZING - one light swipe of your finger and you have enough for both cheeks; and the price is extremely reasonable as you're getting multiple shades and each use is only using a small amount of product. I love RCMA and this palette fits right into my makeup kit! The pigments work fine, but the photo shown gave me the impression that there were pink shades included. Instead, they're all peach-y. I'd have given it 5 stars if they looked in person like they look in the picture. I use for both cheeks and lips (with a balm or gloss to avoid the dry, chalky look). Great idea, just too limited in the shades. RCMA formula-- creamy, glowing colour--no shimmer particles. Favorite shade the peachy pink, which I'd buy dozens of if it came on its own! I've recently incorporated blushes into my makeup routine and this palette is PERRFECT! The color pay off is amazing and you don't have to use a lot. The colors look great on my fair skin tone, without looking too dolly. Definitely recommend for all blush users! Very odd shades...oranges & browns. Mixing them just gives me more oranges & browns. And strange texture...so greasy. I'm concerned about it clogging pores. I have tried and I can't even give this stuff away.